Anambra Election: Delta police restrict vehicular movement from 12 midnight – Royal Times of Nigeria. The Delta Command of the Nigeria Police has ordered the restriction of vehicular movement between Delta and Anambra through the Niger Bridge, with effect from 12 mid-night on Friday. The Commissioner of Police in the state, Zanna Ibrahim, gave the order in a statement Friday in Asaba, signed by Andrew Aniamaka, the Command’s public relations officer. The commissioner said the order was aimed at forestalling any breach of security ahead of the Saturday governorship election in Anambra. 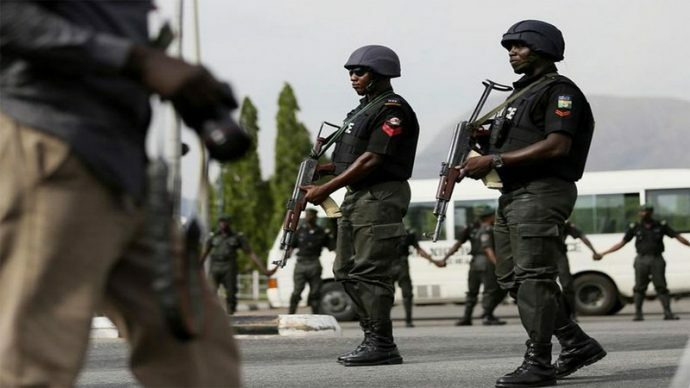 The police boss said, “Against the backdrop of the forthcoming gubernatorial election in Anambra slated for Saturday, November 18, the Commissioner of Police, Delta Command, Zanna Ibrahim, has ordered the restriction of vehicular movement. “The order restricts movement through the Niger Bridge linking Asaba to Onitsha with effect from 12 mid-night, Friday, November 17, 2017 till after the election,”. “While regretting the inconveniences the restriction will cause commuters, especially those travelling to the South-East and South-South States, the commissioner of police enjoins them to take alternative routes. He also said that the order was borne out of the need to prevent any security breach around the Niger Bridge linking Delta to Anambra during the election. Mr. Ibrahim, however, said only those on official and emergency duties with genuine means of identification would be allowed passage during the period of the restriction.